Samuel was born and raised in Ghana where he studied chemistry at the Kwame Nkrumah University of Science and Technology (KNUST). After a short professional experience as a quality control assistant at LaGray Chemical Company (Nsawam, Ghana) in 2008, he pursued doctoral studies in the You Lab at South Dakota State University which WOULD later relocate to the University of Oklahoma in the summer of 2010. In the Spring of 2014, he moved to MIT for postdoctoral training with Professor Stephen J. Lippard, studying the mechanism and synthesis of novel metal-based antitumOr agents. In Spring 2017, He joined the faculty at the University of Kentucky to start his independent career. 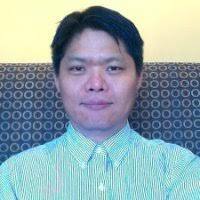 Jong is a postdoctoral research associate. He received his Ph.D at the University of Colorado at Boulder located on the foothill of Rocky Mountain. In 2017, he joined Awuah group and is developing stable transition metal complexes and its application to c-Myc targeting, and consequently understanding the function of transcription factors in biology. Xiao is interested in the mechanism of enzyme catalysis and inhibition by small molecules. His previous research on human cytochrome P450 inhibition by natural extracts bolstered his research interest. He also likes to combine computational simulation with enzymatic assay to achieve his goal to obtain drug candidates that inhibit cancer growth. Xiao's interest in biology originated in elementary school. Since then he has had a dream of finding an effective cancer treatment. He once won the province level secondary class award in biologic Olympic contest in China. Xiao likes music and painting arts. Tyler graduated from Centre College with a Bachelor of Science degree in chemistry. There he was inspired by his professors to pursue higher education and strive to make significant contributions to science. His research interests include organic and inorganic synthesis, along with biological impacts of inorganic compounds as potential chemo therapeutics. In his spare time, he enjoys playing tennis and traveling. Samuel Graduated from the University of Cape Coast (Ghana) with a Bachelor of Science degree in Chemistry. He became convinced that there exist an unraveled elegance in every complexity. Motivated by that conviction he joined the Awuah Lab in January 2017 where his research focuses on total synthesis of natural products towards immuno-chemotherapy of cancer and autoimmune diseases. Nathaniel George graduated from Grinnell College with a Bachelors of Arts in Chemistry in 2015. Before joining the Awuah group, Nathaniel did research in the field of organic electronics, organic redox flow batteries, and electrochemical analysis of organic molecules. Currently he studies chemical immunotherapy and cancer pro-drug development. Born in Trinidad & Tobago, Nathaniel moved to the states at an early age and has been a science geek his entire life. While Nathaniel is an authoritarian ruthless delegator of justice when it comes to lab cleanliness, he also talks the most (as you can see by this paragraph), and keeps the lab lighthearted and jovial. Nathaniel practices daily to become fluent (comfortable even with scientific terminology) in French, German, and Spanish. He enjoys reading, listening to music, and dominating other graduate students in pick-up basketball games. On campus, he volunteers for the Black Graduate & Professional Student Association to promote diversity and social justice initiatives. In the spring of 2017 he won the "Griffith Outstanding General Chemistry Teaching Assistant Award" for his excellence and dedication to teaching Chemistry. He hopes to one day become a professor at a tier one university where he can be a role model and mentor for upcoming African American students interested in the sciences. Nathaniel's greatest aspiration is to discover chemical innovations and drug therapies that will help the less fortunate around the world. Kate is studying Agricultural and Medical Biotechnology (ABT) at the University of Kentucky with a minor in Dance. The ABT program bolstered her interest in undergraduate research. Her interest in pursuing medicine piqued her curiosity of genetic editing in developing novel chemotherapeutics. In her free time, Kate enjoys volunteering with the Allegro Dance Project and furthering her involvement in Phi Delta Epsilon, International Medical Fraternity. Amal, a 3rd year undergraduate is working towards his bachelor of science in biology and a minor in physics and mathematics. His main focus is to excel in the field of medicine and hopefully continue to do organic and inorganic synthesis. Amal joined the lab for his thirst for curiosity and gain a deeper understanding on how organic synthesis can provide a major contribution to complex biochemical and physiological processes. Benjamin is a third-year undergraduate at the University of Kentucky studying chemical engineering. His interest at the present is immunotherapy with a focus on PD-1/PD-L1 inhibition. Evan is a senior and will graduate with a Bachelor of Science in chemistry with a focus in biochemistry. His research interests involve measuring mismatch repair as a function of anti PD-1/PD-L1 sensitivity in cancer cells. After graduation Evan plans on pursuing a graduate degree in Pharmaceutical Sciences. He hopes to work for a pharmaceutical company organizing and overseeing clinical trials. William is a third-year undergraduate at The University of Kentucky pursuing a bachelor of science in chemistry and biology. His current interests include synthesizing high-valent metal complexes for use as anti-cancer agents. In the future, he hopes to attend medical school where he can use a fundamental knowledge of biochemical processes to treat patients in a clinical setting.